Stainless Steel Lock Nut M5 (100 Pack) is rated 4.4 out of 5 by 7. Rated 1 out of 5 by Anonymous from misleading product name To my mind this should be described as thin hexagon nut. A locknut should have a plastic insert. Rated 5 out of 5 by Stretch1955 from Corrosion resistance perfect. Stainless steel at a good price. Rated 5 out of 5 by Lambretta Ant from Excellent value Lock nuts Great quality and excellent value stainless steel Lock nuts. 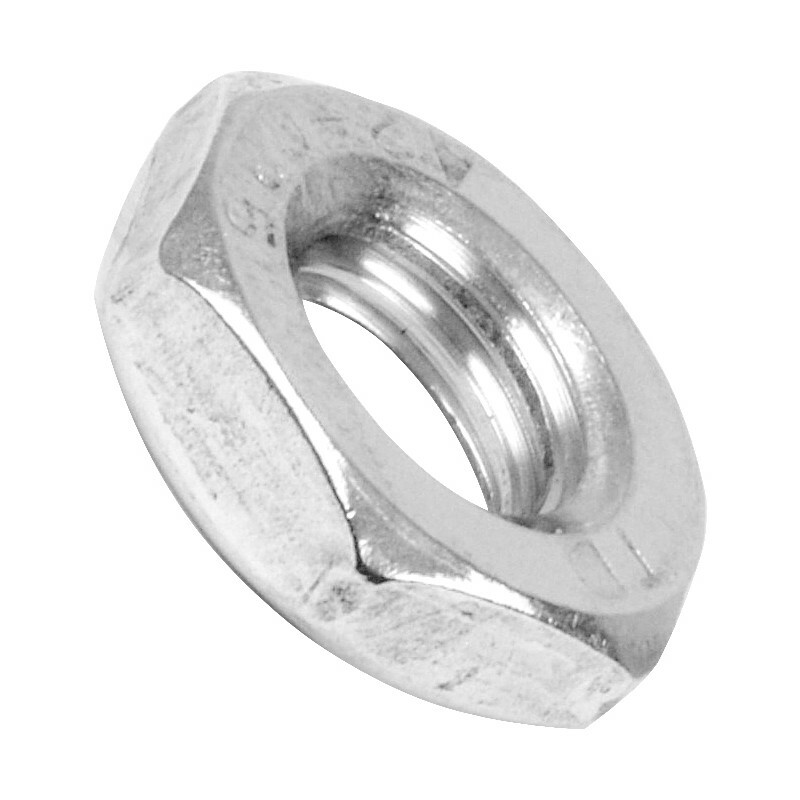 Rated 5 out of 5 by Lambretta Ant from Excellent locknuts Great value stainless lock nuts. Rated 5 out of 5 by Sparker from Just the job Exactly what I wanted along with some M6 Stainless set screws and dome head nuts. Pity I had to buy a pack of 100 - I only needed 10 to go with the packs of 10 each of the others - but they were so cheap anyway so no bother at all. Rated 5 out of 5 by OAPete from Just the job I have currently a use for these nuts but they will also be an addition to my stock of parts. Rated 5 out of 5 by Pablo from Lock nuts My nuts are now incredibly tight. And this sentence is here because of the bizarre minimum review length.